Lawrence, 83, passed away peacefully, surrounded by family, on Sunday, February 10, 2019 in Parksville, BC. He will be lovingly remembered and profoundly missed by his beloved wife of 60 years, Patricia (nee Morris) and his family. Dad is survived by daughter, Celia Caschetto;son Stephen (Marlene) Stahley, daughters, Patti (Brent) Harmon and Pamela (Peter) Woolgar; grandchildren, Jennifer, Fraser (Anja), Krystina, Hailey and Tyler; as well as great grandchildren, Colby, Lukas, Eli and Emily. You will be forever in our hearts “Pop”. 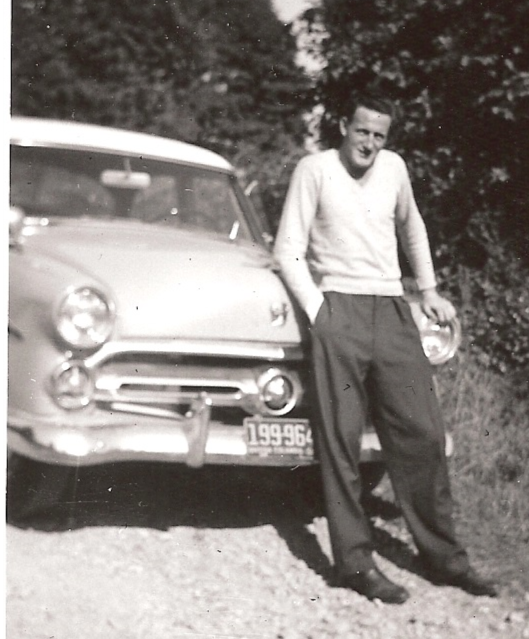 Dad was born February 7, 1936 in Paradise Hill, Saskatchewan to Clementine Halbauer. Along with his older brother Ed (Helen) Stahley and younger sister Marlene (Bob) Widdoes they grew up mainly along the Fraser River with Haney being his “home town”. Many of Dad’s lifelong friends live in Maple Ridge. Dad married Mom in 1958 and moved to Vancouver Island. During this early time they lived in Sarita River and Dad worked in the logging industry. Lifelong friends came out of their “Sarita River Camp” days. In 1964, the family moved to their long term home on Wembley Road in Parksville and Dad started his own company, Timberjack Logging. In 1969, he made a major career change to full time commercial fishing when he bought the Able Lady and started gillnetting and trolling salmon. He was a hardworking, tough and determined man who pioneered the gillnetting of roe herring in BC and loved that fishery right up until the end. French Creek has been his “home port” since 1964. Dad always felt at home on the ocean, in the forests and wandering the outdoors; fishing, hunting and providing for his family. He was known to be an opinionated conversationalist, well informed on many subjects (as the many who stopped by for coffee could testify too). He was a fishing activist not afraid to speak his mind, stand up for his rights or take action if he felt it was warranted. Dad was a long term Freemason in Barclay Lodge No. 90 in Port Alberni and was Raised to the Master Mason Degree on January 26, 1966. He strongly believed in the charitable work done by Freemasons. Our families thank the many fine staff members at Stanford Place in Parksville for their kindness and care of our husband and father in his final months. A Celebration of Life will be held at 2:00 pm on Saturday, March 16, 2019 at St. Edmunds Church, on Wembley Road in Parksville. In lieu of flowers, those wishing to honour his memory may do so by making a donation in his name to the Canadian National Institute for the Blind.